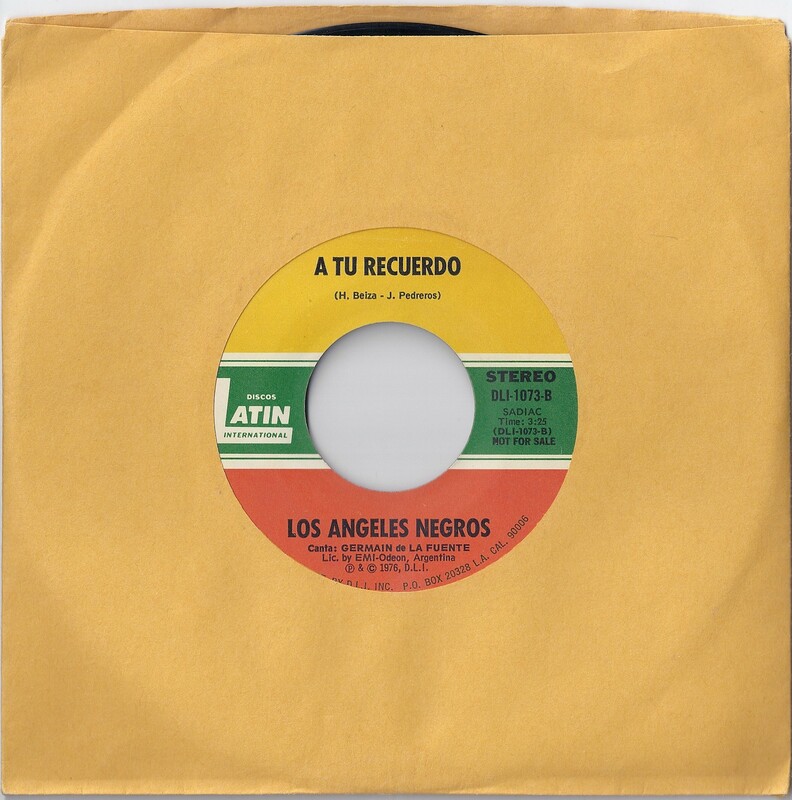 The Chilean band Los Angeles Negros (the black angles) probably wouldn’t be so familiar to North American ears if it wasn’t for the sample used off the Beastie Boys “Hello Nasty” album. But who can blame them for copping a beat like “El Rey Y Yo” (The King and I). Psychedelic bolero break-beats? 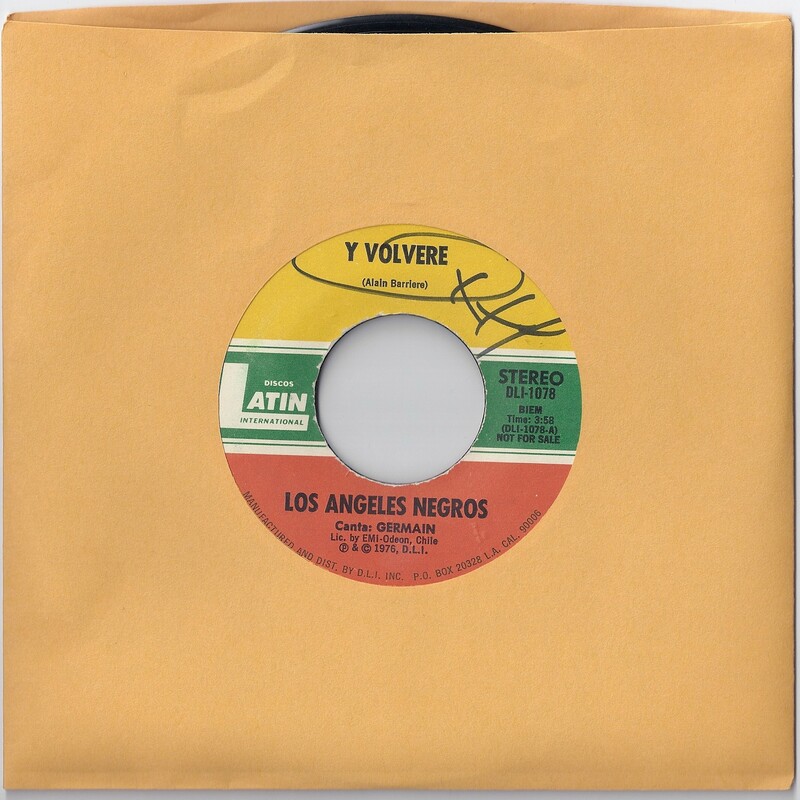 Anyway, long before the any popularity was garnered from that Beastie Boys record, Los Angeles Negros where the most popular bolero groups of their era. Los Angeles Negros have almost a similar biography as Los Pasteles Verdes (see my earlier post). Both bolero style groups, founded after winning a talent show, becoming internationally famous, and then moving partially to Mexico. On a side note, keep in mind that Mexico is the most populous Latin American country (besides Brazil). So if a band makes it big, you find a lot of Caribbean and South American acts ending up there. There is almost like a cultural diaspora in Mexico City. It’s a bigger market, close to the United States, a recording/publishing mecca, and it is relatively stable to other Latin American countries, or was at the time. Nevertheless, I threw some great break-beat sounding boleros, along with their most popular mega hit “Y Volvere” (and you will return). Check out predecessors Julio Jaramillo (Ecuador) or Carlos Gardel (Argentina). 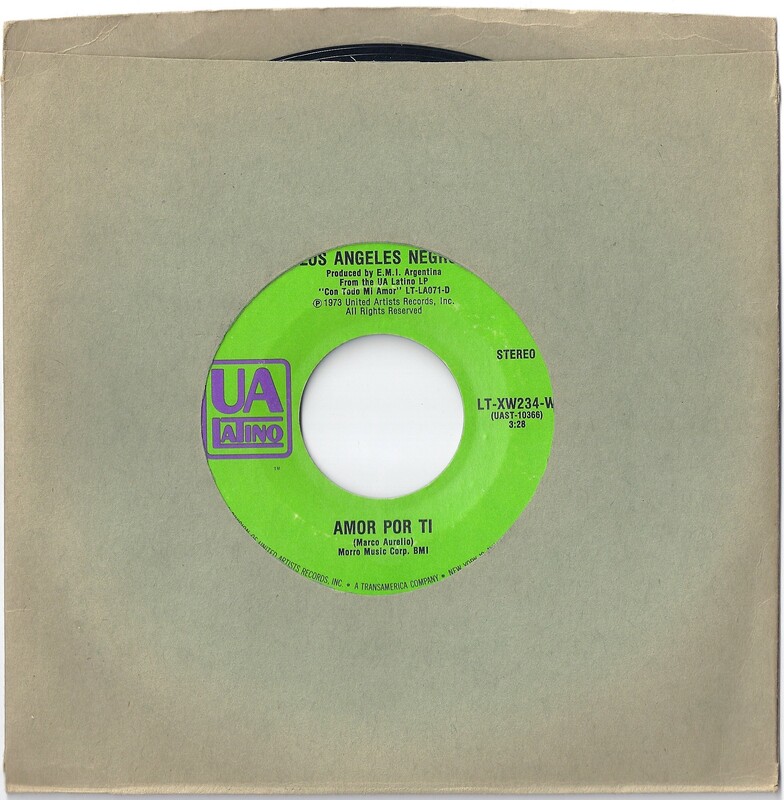 South America has had a long history of the romantic bolero and over the top lyricism. Enjoy! Los Ángeles Negros are a big referent to a lot of new bands in Chile. Please, check the sound of Los Golpes, my favourite band from the funk bolero era.